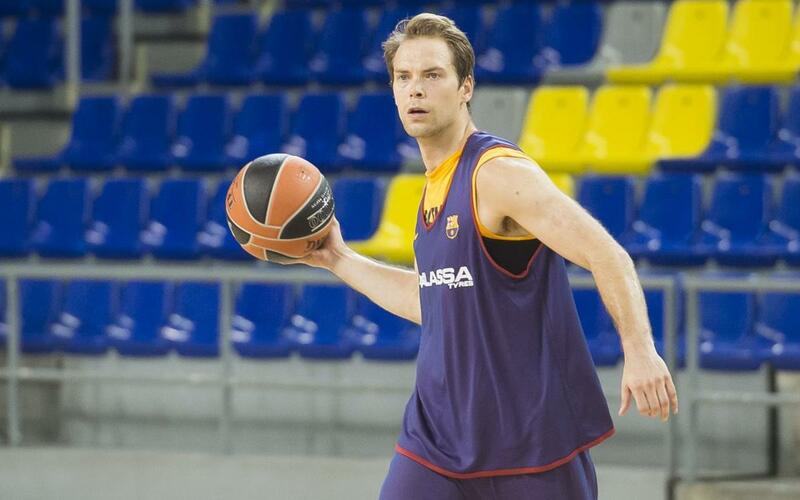 Every day that passes is a day closer to Petteri Koponen’s return to the court. The 28-year-old guard returned to training on Thursday with his teammates after having worked out alone in the preceding days. At last the Finnish player is back where he belongs. On 19 September Koponen was involved in a car accident when he was a passenger in a taxi. He is now in the final stages of his recovery after suffering a head injury in the incident. The Barça Lassa number 25 could well return to competitive action in the near future although no date has been set. Koponen’s own thoughts on his progress as well as the all clear from the Club’s medical staff will be the deciding factors in his comeback after injury.